Yesterday 10th April was New Moon – for me a sacred time to stop, review the previous lunar month and write down my intentions for the new lunar cycle. Basically a time to REMEMBER WHO I AM. I began doing this several years ago and found it a powerful way to ground how I was feeling, balance my inner tendency to DO 7 days a week, 52 weeks a year and build in time and activities that helped me reflect on the letting go and inward phases of life. Using natural cycles of our planet has always appealed to me. Years ago I found healing in watching the seasons pass, for the first time ever appreciated the inward stillness and depth of Winter and therefore within myself. 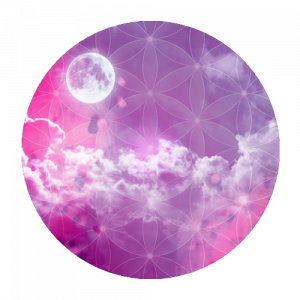 Working with the lunar cycles took me even deeper – and helped me focus on my own cycles (literally my own moon cycles) and as a result on the yin and yang phases of my own self. Making the MoonFlower Moon Combinations in 2011/12 was a natural extension of this. In 2012 I committed to an 8 month journey of using each combination – one a month – and find myself almost a year later in a completely different of space of energy, connection and sense of who I am and the path forward for me personally and all that I do. So to celebrate I am using the 8 Combinations once again but this time all 8 combinations within one month and committing to documenting my experience and sharing with you all every few days via this blog. So for the past two days I have been putting 5 drops of New Moon Alignment essence into my morning and evening drinks and resetting my energy system to zero – fully supported by the flower and gem essences in this combination and of course the SEED energy of the dark skies and the tiniest hint of a crescent moon appearing. One of my New Moon intentions is to revisit my connection to the devic world and to diving deeper into how I may best serve and share my own connection to the flowers, plants, trees, crystals that have so enhanced my life. Tomorrow I am spending the day in woodland here in Kent creating a soundscape alongside others to deepen this connection. I hope to be able to share photos with you on this blog in time for my Crescent Moon update in few days time. At this time solar and lunar energies come together as the moon rises and sets with the sun. This provides us with a unique opportunity to realign with our true selves – bringing the masculine and feminine parts or ourselves into balance to dream in a new cycle. It is time to start afresh and to create intentions from the heart for this new cycle. This is a time of dreaming, visioning and looking ahead. I allow perfect alignment between my heart and my soul and dream in a new cycle of opportunity and potential. As of today I start again and envision the future of my dreams. WOULD YOU LIKE TO JOIN ME ON A JOURNEY THROUGH THE CYCLES OF THE MOON ?